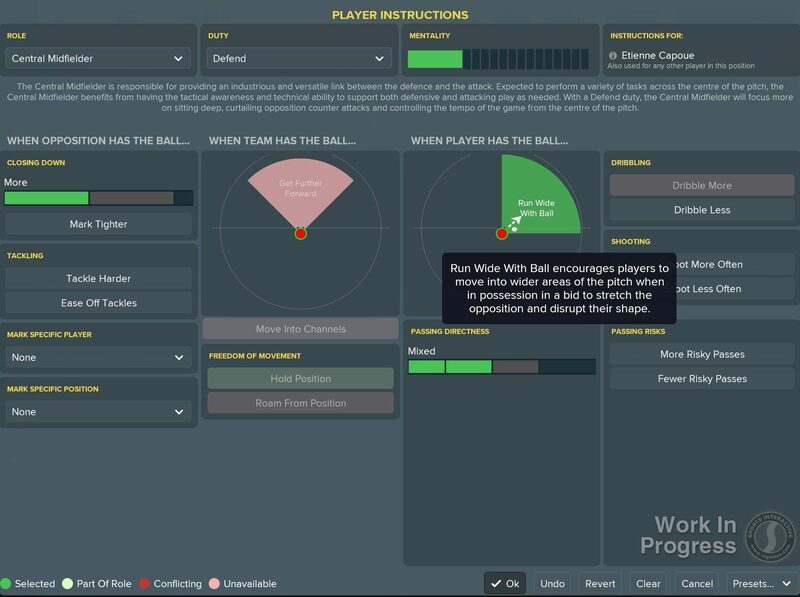 DYNAMICS A brand new module in Football Manager that connects your management of the dressing room with the team’s performances on the pitch more closely than ever before. Each player has a varying level of influence on the rest of the team and social groups now form within the squad. As a result, keeping the most influential players happy can reduce the number of unhappy players coming to your door. A positive atmosphere in the dressing room with players working well together as a unit will lead to the players’ collective mental attributes receiving a boost. Your midfielders, for example, might benefit from an improvement in their Vision attribute, allowing them to pick out more defence-splitting passes. 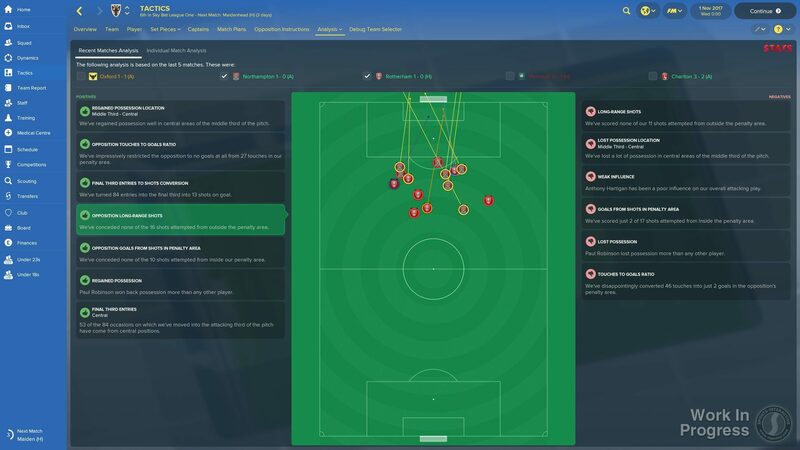 SCOUTING FM 2018 features a remodelled scouting system that’s based on how contemporary clubs recruit players. The new Scouting Centre is where you’ll receive player recommendations and can set what type of player you want to scout, using the new Scouting Focus options. For the first time, you can also adjust your scouting budget. 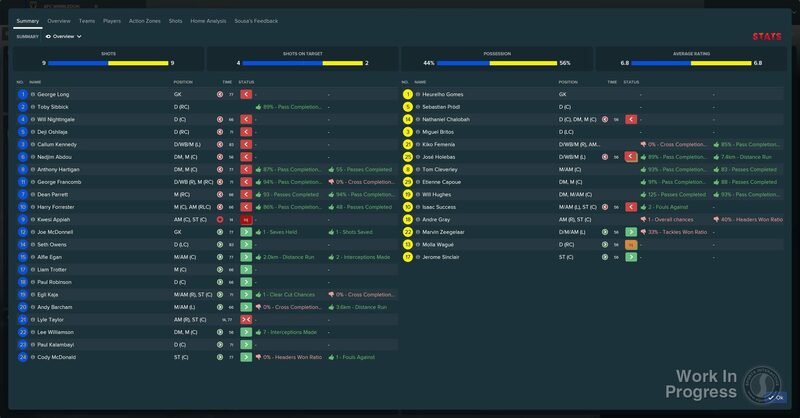 You’ll also get a more complete insight into a potential signing as your Data Analysts now produce their own reports on players; these include key statistics from their recent performances, allowing you to judge whether the player in question would be a good fit for your current tactic. TACTICS The redesigned tactics screen places analysis at its heart to give you a clear view as to whether your tactic is working. There’s an analysis overlay on the tactics display, which highlights the areas of the pitch where you’re currently and where you’re most exposed. You can also see which players are developing strong partnerships and a summary of the trends from the analysis of your recent matches. 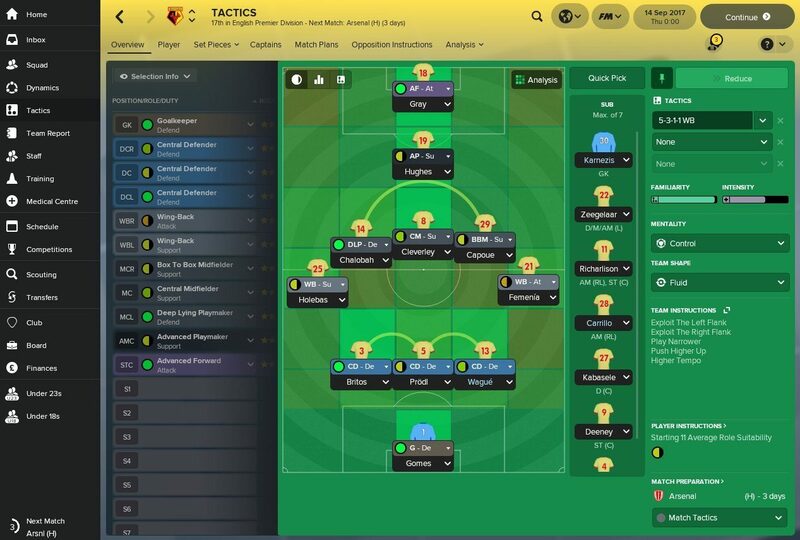 The new pre-match briefing allows you to be better prepared for your upcoming fixture, while several new player roles make their debut in Football Manager 2018, giving you more ways to utilise your squad’s talents. SPORTS SCIENCE The new Medical Centre gives you a more complete overview of your club’s injury situation than was previously available. Your medical team, particularly Sports Scientists, will advise you on which players suffer from recurring injuries, notify you of players that are a potential injury risk and give you information on how you can avoid injuries occurring during training. You’ll receive monthly updates from your medical team summarising the information contained within the Medical Centre, including your position in the league’s injury table and whether you’re above or below the expected number of injuries for the season. FANTASY DRAFT The Fantasy Draft user interface has been redesigned and optimised for streaming. The game icons that previously sat within the sidebar have been moved to the top of the screen giving more space to the centre of the screen. There’s also a range of new set-up options, including an increased squad budget and a Quick Start option which lets you tailor the Fantasy Draft experience to you. MATCHDAY Football Manager 2018 sees the debut of a new graphics engine that produces the best lighting, stadiums and player models in the series’ history. That’s alongside a new match interface and modernised pre- and post-match presentation, all of which helps to bring your fixtures to life. Goalkeepers behave more realistically than ever too, thanks to an array of dedicated motion-captured animations and improved match engine AI. There are more customisable cameras that let you find the viewing angle that’s right for you, brand new cut-scenes that add to the big match atmosphere and a wealth of new analysis options that can be viewed both during and after the match, allowing you to see what went to plan and where you can improve. FOOTBALL INTELLIGENCE Football Manager 2018’s transfer market reflects the inflated transfer fees and contract values that have become synonymous with modern football. New transfer, loan and contract clauses give you more tools to get that blockbuster deal finalised, but you’ll have to compete against more intelligent AI that takes into account more contextual information when making a transfer. The board also considers a wider array of factors when judging your performance. For example, if you exceed expectations you may receive a sizeable increase to next season’s transfer budget as a result of the board showing faith in your managerial abilities.